Georgetown Hill’s USAPHIS-Sunny Days/Riverdale school is conveniently located at 4700 River Road in Riverdale, Maryland. Our early education program offers care for Infants and Toddlers through Transitional Kindergarten. Campus hours: 7:00 a.m.- 6:00 p.m. If you need more information, or if you would like to schedule a tour, please contact our enrollment specialist, Katie Ryan for additional information at 301-851-2699. Or you can send us a message. 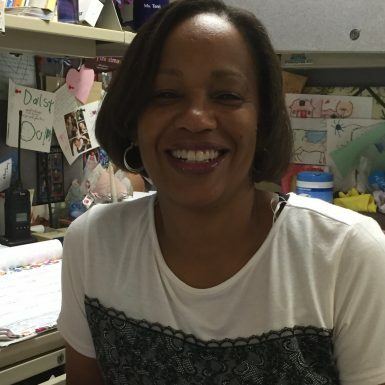 With twenty-three years of experience in early childhood education, Terri Gatewood, Director at the Sunny Days Campus, enjoys getting to know her families; engaging with their child to help them feel successful in the environment. It is fulfilling to know that she ignites a passion in a child to embrace learning and school so that when they leave Georgetown Hill, they are excited about a formal elementary education. Terri believes when a child has access to quality education early in their life, they have a better foundation for success emotionally, cognitively, and socially. A close-knit community, everyone at Georgetown Hill respects one another; embraces one another and encourages personal interaction and genuine concern for the wellbeing of the child.